The Punjabiis Restro Bar is located at The Great India Place Mall in Sector 38-A, Noida. 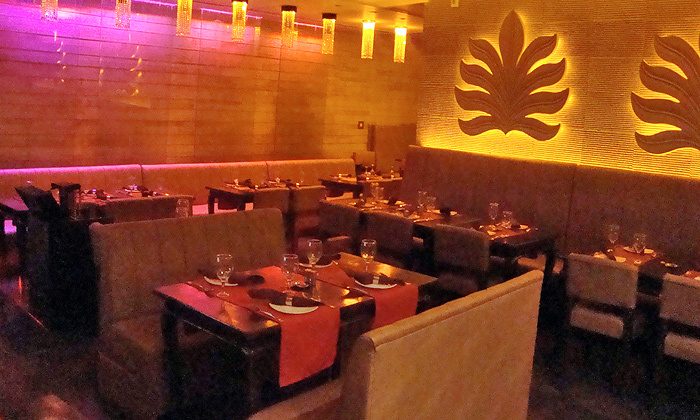 The restaurant sports a very vibrantly Punjabi look with bright shades of pink, blue and gold adorning the walls. On their menu, of course, you'll find a long list of your favourite North Indian dishes along with their Chinese counter-parts. Indulge in the blissful burst of flavours as the friendly staff serves you with love. Also, to complement your food selection, is an extensive list of drinks - right from the refreshing ones to the heady ones! The pleasant ambience and the wholesome menu makes it an ideal place to dine with family and friends.